Happy Wednesday, friends! I hope your week is going well. I am writing this post to cover a few loose ends that are dangling around. 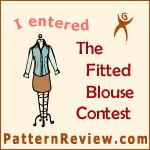 First, I have entered my recent Elisalex dress in the Pattern Review New to Me Pattern Company contest. 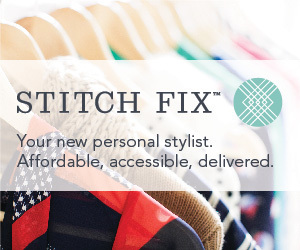 If you are a Pattern Review member, I would love to have your vote — go here. My next piece of news is that I hosted a sewing workshop at my house today for girls in my stepson’s school. We sewed poodle skirts for their upcoming sock hop! It was lots of fun but unfortunately I don’t have any pics yet. I will try to get some Friday at the event. This was my first time to really “teach” someone about sewing and I enjoyed it immensely. One of the young ladies had never touched a needle or thread before and the other two were beginners. I am pleased to say, after only 2.5 hrs, each girl left with a completed skirt waiting only for a hand stitched appliqué. We made self-drafted circle skirts and inserted a simple zip and one piece waistband. Since we made the skirts from felt, they didn’t require a hem. Yay! I prepared a few treats for the girls to sustain them during our sewing — my mother’s lemon bars and some Ghirardelli brownies (don’t tell, but I like those better than scratch made!). Per my husband’s recommendation, I put out some of my hand sewn-garments for the girls to look at for inspiration — I would love to inspire the next great seamstress! As I was pulling things from my closet, I was shocked by how many completed garments I have that I consider wearable. Come on Me Made May 2014!!! Here’s a photo for you of some of the clothes I put out on display. Other pair of curtains are waiting on their hem (for the past 18 months, lol!). And here are a few pictures of my sewing room. I don’t think I’ve ever shown it to you so I figured I should take pictures while it was clean for this special occasion. As soon as the creativity strikes back up, it will be messy again! 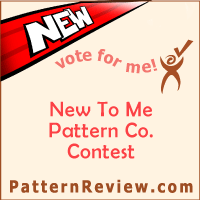 Finally, if you are a Pattern Review member, I would love to have your vote in the New to Me Pattern Company contest where I entered my Elisalex dress. You can vote here. Thanks and have a great rest of the week! I certainly will vote for the leggy roses dress! The dress/pattern/fabric is beautiful, but when you finally realize the roses have legs…oh my…ever so fun!!! …and teaching the girls to make poodle skirts was awesome! I commend you for introducing and helping a new generation to sew. All fabulous, but I am SOO jealous of your sewing space!